Flight meals for air passengers suffering from food allergy may differ from one airline to another due to a variety of factors such as the particular route, duration of the air journey, class of travel, your specific allergy etc. To know exactly what type of flight meals one with food allergy can expect, it is suggested that you visit the website of the airline through which you are travelling or obtain authentic information from the travel agent. Airlines are indeed aware of their responsibility to provide the most acceptable type of food to passengers suffering from food allergy. But most airlines may need at least 24 hours advance notice in order to provide the right type of food. 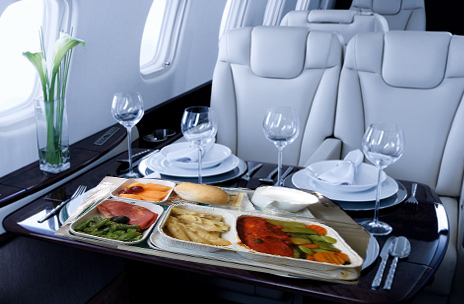 Special meal services are not available on the short-haul flights that do not provide meal services. Many leading airline companies make a general disclaimer that they cannot guarantee a flight meal to be completely allergen free food because they source food from so many different countries and restaurants worldwide. Thus, it is not always the case that you will be assured of the type of food you would want. Choosing to fly with an airline with your food allergy problem is at your own risk. The other alternative is for you to carry your own food - although many airlines will not reheat the food for you. Airlines also recommend you carry your own medicine to combat food allergy problems - in the event you encounter them while on flight. The variety of specific meals available for food allergy persons varies from one airline to another. However, there is an exhaustive list of commonly available food options. Each airline company will let you know their details of the specific meals. From a list this extensive choices, you can easily find something suitable for you and if not, you can ask the airline whether your can carry your own food on board. With certain airlines, you may not be permitted to carry your own food. In such cases, there are some airlines which cater to the requirements of such food allergy passengers. They arrange special meals for such passengers depending on the type of food allergy they suffer from. Before you book a flight to your destination, browse through the airline's website and make sure that they make arrangements for special in-flight meals as per your food allergy. After you have booked your flight, you should order a special meal one day before the date of your departure. However, the earlier you place your order, the more convenient it will be for the flight attendants. While entering the aircraft, talk to the flight attendant to confirm you’re your special in-flight meal has been arranged. When the attendants are serving the meals, remind them that you have ordered a special meal. If you are planning to fly with children suffering from allergies, then it is preferable you carry ample quantities of safe and acceptable snacks and drinks with you. There is fierce competition among various airline companies, and today airline companies are vying with one another to provide you more efficient services than others. Finally, do not forget that the special in-flight meals are not chargeable - as you are availing them as substitutes for the regular complimentary in-flight meals.